Municipal Water Filters: Even better than bottled water. Well Water: Water the way nature intended. Your water is unique. From one neighborhood to another, and even from one house to the next, no two homes have exactly the same water problems. If your water isn’t properly filtered, you could suffer from cloudy water, unsightly rust stains, hard mineral buildup, even unpleasant odors. But Purely provides everything you need to make your water pure and problem-free, the way it should be. We’ll provide you with the best system designed for well water or city water, customized to your specific needs. In fact, the more options you include in your water system, the more you’ll save – up to 70% less than other brands. Just click on a system to get started. Which water filtration system is best for your home? You have choices when it comes to getting the best water quality out of your municipal tap water or private well water. No matter what specific contaminants are present in your water, our quality whole house water treatment systems make a difference you can see and taste. Find out what you need to know to select the right water filtration system for your home. Hard water occurs when minerals build up in the water supply. Although hard water isn’t a health risk, it can cause minerals to build up inside your plumbing, fixtures and appliances, eventually causing costly damage throughout your home. The best and most effective way to remove these minerals is with a water softener. We offer three sizes of water softeners to remove these harsh minerals and prevent damage before it starts. Quickly remove troublesome minerals from your water with our G-1000 Water Softener. This system is recommended for households of 1-3 people, with up to 2.5 bathrooms and water hardness between 1-8 grains per gallon. With a generous tank capacity, the G-1500 Water Softener easily handles the water needs of a family of 3-5, with up to 4 bathrooms, and water hardness of 8-12 grains per gallon. The G-2000 is our largest and most powerful system, capable of protecting your home from even the hardest water. This water softener’s ample tank capacity is perfect for families of 5-6 who have a high amount of water usage on a daily basis, and water hardness of up to 16 grains per gallon. Ordinary tap water can be tainted with undesirable contaminants. Not just chlorine and lead, but also harmful bacteria, disease-causing viruses, unwanted pesticides, and other unpleasant surprises like nitrates, chlorine, arsenic, and even traces of pharmaceuticals. Protect your family from the potential health issues caused by these contaminants with a Purely carbon filter. It’s a safe and effective way to enjoy clean, fresh water every day. All of our carbon filter units include a unique 25 Micron sediment filter. This added layer of protection helps keep out rust, sand, sediment, dirt, grit, and other foreign particles that don’t belong in your water. Plus, it prolongs the life of your Purely Water Treatment System. This top-grade whole-home carbon filter* uses highly-activated granular carbon to give you the best possible filtration. By using carbon derived from natural coconuts, this filter system removes harsh chemicals, bad taste, unpleasant odors and discolorations. The CBN-1000 also includes a powerful 25 Micron sediment filter to remove particles from your water and extend the life of your Purely Water Treatment System. Our exclusive Purely Whole-House Carbon System utilizes a coconut shell carbon filter* to strip away chemicals and contaminants, making your water clearly fresher. The CBN-1000C also includes a powerful 25 Micron sediment filter to remove particles from your water and extend the life of your Purely Water Treatment System. *Although our carbon filters are specially designed to leave your water as pure and odor-free as possible, all carbon filters have limited or no ability to remove dissolved inorganic contaminants or metals such as: nickel, mercury, fluoride, copper, chromium, cadmium, beryllium, barium, asbestos, arsenic, antimony, selenium, nitrates/nitrites, sulfate, thallium, and certain radio nuclides. In order to remove those contaminants, we suggest installing a genuine Purely reverse osmosis water filter system. Enjoy the crisp taste of quality bottled water at a fraction of the price. Ordinary tap water picks up contaminants as it travels to your home. If you don’t have a Purely system, your water could contain heavy metals, smelly chemicals, harmful germs, and other unpleasant surprises. But with our specially-designed reverse osmosis system at your kitchen sink, you can enjoy the crisp taste of pure water for only pennies per gallon. Don’t waste time and money buying bottled water. Enjoy as much as you want – right in your own kitchen. The Purely G-50 Drinking System provides pure and healthy water on demand. And the quality is even better than most bottled water. 1. A powerful 25 Micron sediment filter traps rust, dirt, sand, and other particles. 2. Dual carbon block filters remove bad taste, unpleasant odors, and discoloration. 3. The Purely Reverse Osmosis membrane filters water down to .0001 of a micron, removing viruses, bacteria, and parasites, along with many other possible contaminants. 4. Finally, a carbon post-filter polishes your clean water for perfect taste. The result? Crystal clear, pure water right from your faucet. Concerned about the amount of fluoride in your drinking water? Although some communities add fluoride to the water to promote dental health, excess fluoride from fertilizers and factory run-off can contaminate your drinking water, increasing your exposure to unsafe levels. High levels of fluoride can actually damage tooth enamel in children and lead to bone and joint problems later in life. That’s why the EPA has set strict limits on fluoride exposure. The Purely Fluoride Reduction System helps stop fluoride before it even enters your home. Our unique calcium-based BoneChar carbon media system effectively reduces the amount of fluoride in your water to safe levels. It’s an affordable and effective way to ensure your peace of mind, and the health of your family. • Includes 25 Micron Sediment Filter to remove rust, sand, grit, dirt, and other foreign particles from your water, prolonging the life of your Purely Water Treatment System. Is your water really as clean as you think? Any source of water can become contaminated, degrading the quality of your drinking water. You might not even know it’s happening. City water could be perfectly safe at the treatment plant. But harmful bacteria, viruses, and protozoa may creep in before the water reaches your home. Well water is often cleaner than treated municipal water, but not always. Groundwater can become contaminated by a faulty septic system or other sources, creating a hidden danger to your health. Even water that has looked and tasted just fine for years can start to go bad practically overnight. But you can protect yourself and your family. UV light is a proven and effective way to inactivate harmful bacteria, viruses, and protozoa. It’s quick, simple, and inexpensive. Plus, it’s environmentally friendly, because it doesn’t use chemicals or add anything to your water. • UV light has been proven to be effective at stopping all of these threats, and more. It’s the easy way to restore the natural goodness of clean water to your home. Suffering from a metallic taste in your water? It could be caused by iron minerals. Iron not only makes your food and beverages unappetizing, it can also cause unsightly stains in your laundry, reduce the effectiveness of your detergent, and leave your clothes looking dingy. Iron can also stain your dishes and dull your sinks. Worse, it can cause hidden damage to your home. Iron creates rust in your plumbing fixtures and potentially costly repairs. It corrodes your well casings and water pipes, clogs your dishwasher, water heater, water pump, and even your sprinklers. Our unique iron removal system uses Greensand Plus Media, a high capacity, high quality filtration media that instantly reduces the amount of iron and other metals in your water. If your water has an unappealing rotten egg odor, it might be tainted with sulfur or hydrogen sulfide. These contaminants do more than just give off an unpleasant smell. They can also leave a gray, brown, or black slime in your plumbing that can promote the growth of harmful bacteria. Don’t let that sour smell turn into a health risk for your family. Purely offers an effective treatment technology that provides easy sulfur removal from water systems like yours. Our safe and effective system completely removes sulfur from your water. No more odors, no more slime in your plumbing. By adding just the right amount of chlorine into the water supply, our fast-acting system neutralizes the sulfur content in your water. Chlorine and sulfur cancel each other out, so there is no lingering smell or taste from either the chlorine or the sulfur. Just clean, fresh-tasting water your entire family will enjoy. A metallic or sour taste in your water could be a sign of low pH. That bitter taste is often created by elevated levels of toxic metals in your water, as the acidity of low pH water causes premature damage to metal piping. In addition to staining your laundry, low pH water can also leave telltale blue-green stains on your sinks, drains, and faucets. It can also cause lasting damage to your dishwasher, washing machine, hot water heater, fixtures, and the entire water system of your home. The key to stopping the problem is correcting the pH value of your water. Pure, clear water has a pH value of 7. Anything lower than that is considered acidic, and anything higher than 7 is basic. Utilizing a specially formulated calcium carbonate resin, our pH neutralizer solves low pH problems fast. A special blend of calcite and chorosex raises the pH level of your water to neutralize its acidic properties. By correcting the pH, it helps eliminate corrosion in your plumbing, and prevents premature damage to your pipes. Do you know what kinds of contaminants may lurk in your drinking water? No matter where you live, your water could be exposed to industrial pollutants, pharmaceuticals, and harmful chemicals. Agricultural activities often involve the use of manure, chemical fertilizers, pesticides, and animal hormones, all of which can pollute the water and end up in your home. At the same time, industrial activities like mining, manufacturing, or processing sewage and solid waste can release chemicals and byproducts that make water unhealthy for human consumption. Not all groundwater contamination comes from human activity. Even in natural areas, geological changes and climate fluctuations can increase the amount of sediment and organic material in runoff water. What’s the best way to ensure the quality of water in your home? Get it tested. Quality water testing protects your health and your family. A scientifically-formulated water test tells you what’s really in your water. It’s not only the best way to protect your health – it also protects your plumbing and appliances from hidden damage caused by contaminated water. Order your water testing kit and schedule a free, no-obligation analysis with one of our Purely Water experts. We’ll pinpoint potential sources of contamination, and recommend a water treatment solution that fits into your budget. Start enjoying the natural goodness of safe, clean water, the way it should be. Just fill the sample vial and return it to us in the self-addressed postage envelope provided. You’ll get accurate results in 5-7 days. The sample vial and testing are free; you pay only shipping and handling. For immediate results, use our city/well water insta-test. In seconds, this fast-acting strip kit will test your drinking water on the five most important water quality parameters: free chlorine, total chlorine, total hardness, pH and nitrate. Find out in a flash whether your municipal water or well water contains harmful levels of contaminants. At Purely, we care about the natural goodness of clean water. That’s why our water treatment systems are customized for your specific water needs – at a much lower cost than other brands. We provide water softeners, reverse osmosis systems, whole-house filtration systems, and everything else you need to remove troublesome minerals and harmful contaminants from your water, leaving it pure and clean every time you turn on the faucet. Forget the expense and hassle of buying bottled water. Our customized filter systems remove harsh chemicals and other pollutants, giving you fresh drinking water that’s even better than bottled water – right from the tap. Even better, filtered water uses less soaps and detergents. Not only will you save money, your appliances will run more smoothly. And your dishes, silverware, and glassware will come out sparkling clean and spot-free. Our filtration systems and water softeners eliminate the minerals that cause soap scum buildup on shower doors, toilets, tubs, and sinks. Imagine: no more hard-water mineral deposits. Properly filtered and conditioned water makes cleaning easier. Plus, it leaves your skin softer, and your hair shiny and manageable. Our water treatment systems minimize the fading of your dark clothes, and help your whites come out whiter. By eliminating the harsh chemicals and minerals that cause wear and tear on your washing machine, you’ll use less laundry detergent, and improve your cleaning efficiency by up to 250%. That’s a great way to find extra money in the laundry. Scale buildup in your plumbing restricts water flow and causes valves to leak. In your water heater, It prevents proper heating, forcing your water heater to work less efficiently. That uses more energy and raises your utility bill. Our whole home water treatment systems eliminates scale build-up in your system, and keeps your water flowing properly. With proper maintenance, your water heater will run smoothly and reduce your utility bill by up to 25%. We offer a full line of effective and affordable water treatment solutions for your home and business, anywhere in the greater Houston area, the Woodlands, and surrounding areas. Find out how our Purely Water experts can provide your business or family with the most comprehensive low-cost water filtration system available. 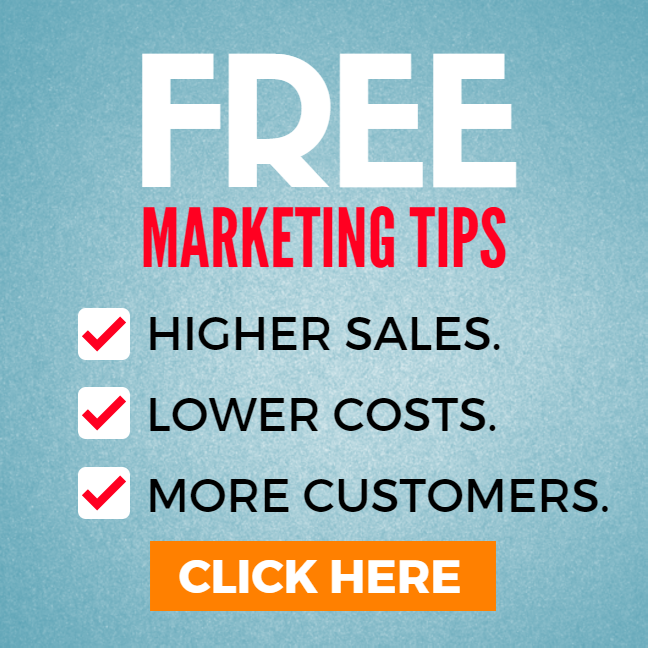 • Order our free water test kit today! Call Purely and Improve the Water You Drink Every Day. Our best value! Includes all of the benefits of the Basic Service Plan and Salt Delivery, plus comprehensive quarterly multi-point inspections of your entire system to help prevent costly repairs. Also includes FREE reverse osmosis filters and FREE service calls. Our specially-trained and qualified technicians will perform quarterly inspections on all components of your water filtration system to ensure proper operation and performance. Basic Service Plan also includes full-service Salt Delivery, with the added convenience that your technician will add salt to your system for you. Not sure when to add salt to your system? Don’t worry. Enjoy convenient salt delivery service, right to your doorstep. You’ll receive 160 pounds of TruSoft salt pellets quarterly, just when you need it. Contact Purely today, and start enjoying refreshing, crystal-clear water in your home or business. Note: Client information has been changed for privacy. 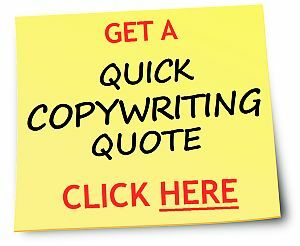 Need a copywriting quote? Click here.